PlayerUnknown’s Battlegrounds is getting a bunch of new changes in its upcoming Patch 27, including a new gun, some big weapon balance changes, loot spawn rate changes, and a new Survivor Pass called Wild Card. Exclusive to the Vikendi map, the MP5K will now be available for players to get their hands on. 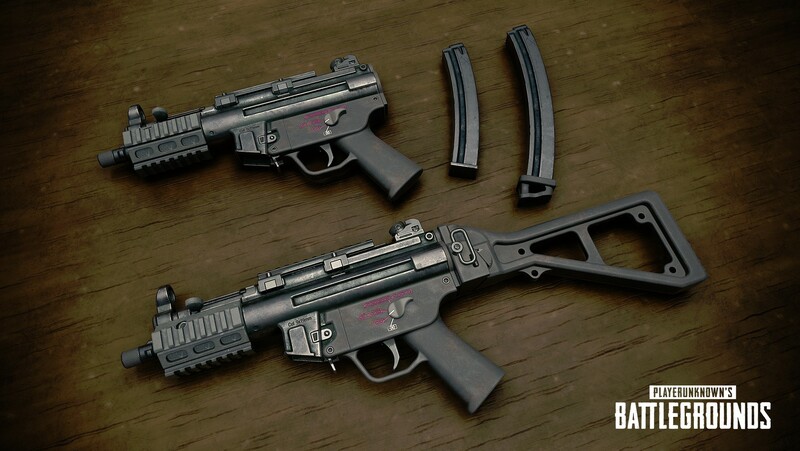 The MP5 will be replacing the Vector and will be using 9mm bullets. It has a very fast fire rate of 900 rounds per minute, but its recoil is not too drastic. It also accommodates every type of attachment type and does base damage of 33. Loot spawns are also being adjusted for the Erangel map—the overall spawn rate of Assault Rifles, DMRs, and sub-machine guns were raised significantly. The overall loot spawn rate for other maps have also been increased slightly, “although no changes have been made to individual item spawn ratios on other maps,” PUBG said. Damage has been changed for various weapons as well. For example, the sniper rifles’ damage has been increased to 150 percent from 110 percent when hitting body shots. Limb shots with an SMG will now operate on a 125 percent multiplier instead of 120 percent, and overall aim punch is being lessened. The UMP45 and the Vector SMG’s are changing ammo types, with the former taking 0.45 ACP and the latter taking 9mm. The Vector now has a base magazine capacity of 19, while the UMP will start with 25. The M16A4 is getting a major buff, with its initial recoil reduced and its range extended. The M16 can now use tactical stocks as well to reduce recoil recovery and weapon sway. For more details on all the changes they are making, check out the official PUBG website.